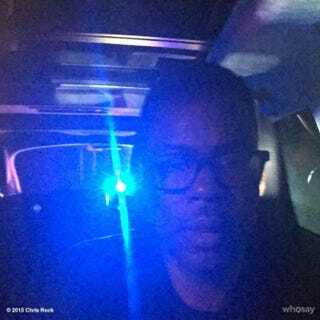 Chris Rock is keeping track of how many times he’s been pulled over by police by posting selfies to his social media accounts. Apparently the comedian has been pulled over three times in the last seven weeks. Rock didn’t say whether he received any tickets or the reasoning behind the stops, but needless to say, he survived them. Some people are less fortunate.